Since I'm just starting up this blog, I wanted to post some displays I've made in the past that other teachers may enjoy or find helpful. The first one is from the beginning of the school year 2010-2011. 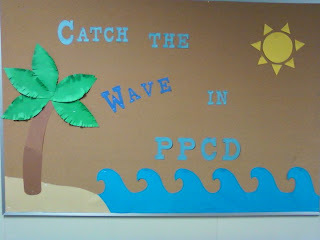 Our theme for that year was beach/ocean. 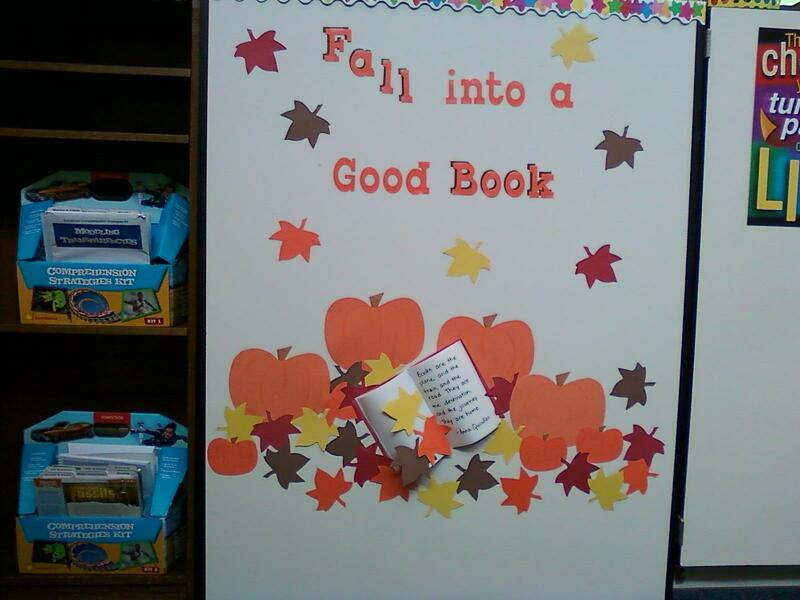 Next, I have a fall display from that year. I love the 3D effect of the tree. 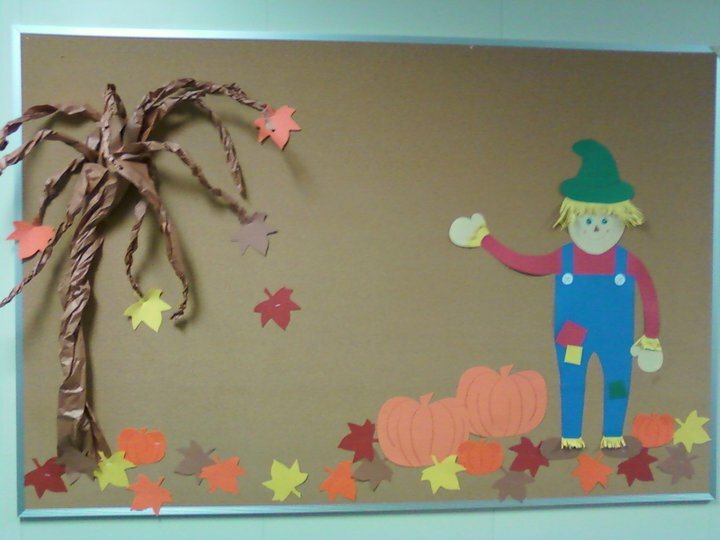 I added the words "Happy Fall, Y'all" to it shortly after this picture was taken. I love holiday boards! 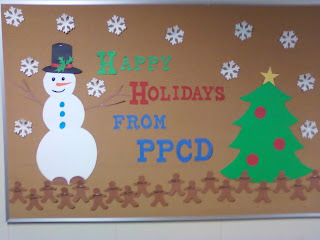 This one included a gingerbread man for every student and teacher in PPCD, with their name on it. 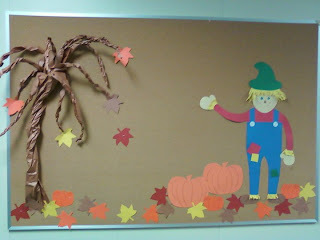 Finally, I have my fall display from this year. 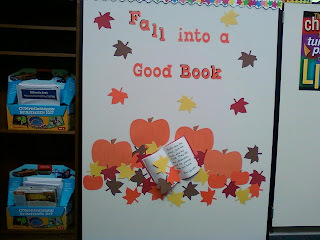 I am now teaching reading, hence the reading theme of all of my displays from this year. It's a little difficult to see in the picture, but the book is 3D.